I had the chance to play a little with a new stamp set. One that isn't available just yet, but will be starting June 2nd when the new SU! catalog sales begin. 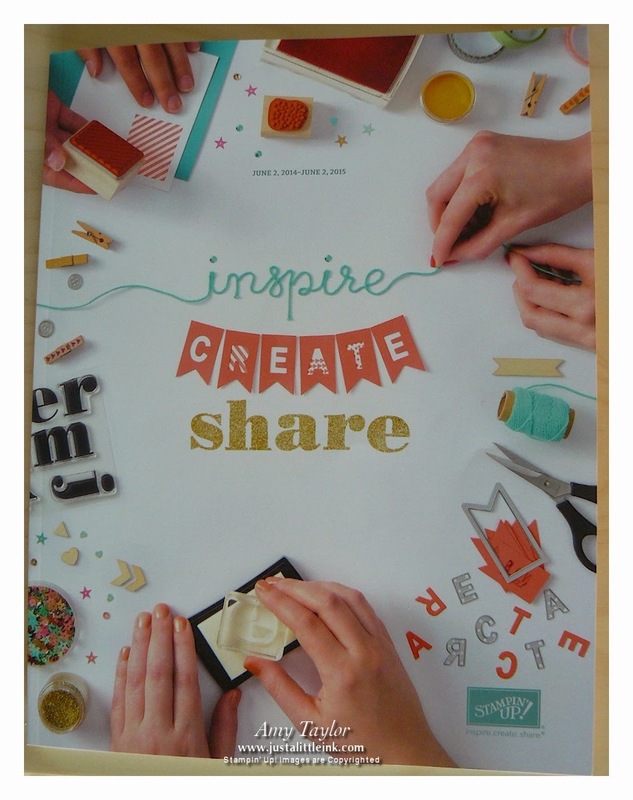 Because I was one of many who attended the Catalog Premiere on Monday evening, I not only got to see the new catalog first but also see so many wonderful samples made using new products from it! All who attended were sent home with a new stamp set (Work of Art) from the upcoming catalog too. And, I LOVE it! I can't show you a picture of the stamp set just yet, but I can show you a couple of samples made using it. This first card is one that I almost completely cased from the sample in the new catalog. I don't have the new In-Colors (yet), so I used the In-Colors from 2013-2015. 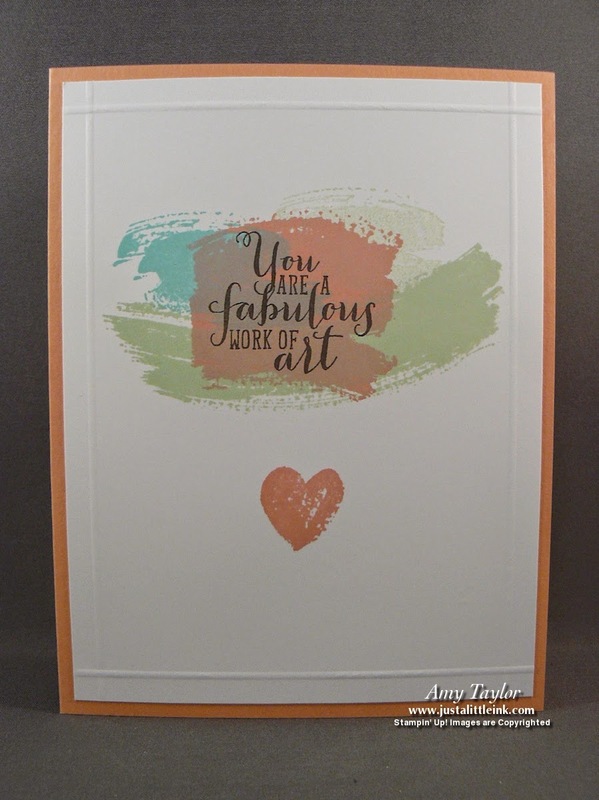 And, I layered my card onto a Cantaloupe Crisp card base and added some scoring for a little texture too. 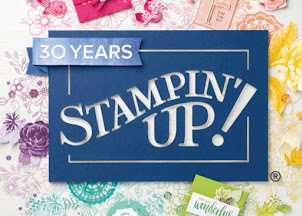 This second card was cased from the Stampin' Success magazine, an every other month publication sent to all demonstrators filled with business ideas and stamping ideas. I changed the image, used paper from the Occasions catalog, Fresh Prints. I didn't have the nifty new framelit that makes a file folder tab (it's pretty cool looking though), so I used my handy Envelope Punch Board to make it. If you are ordering from me this month, you will be receiving one of these adorable thank-you's in your order (or in the mail if it's an on-line order). Isn't it beautiful? Want your own copy? Ask me how to get yours today.